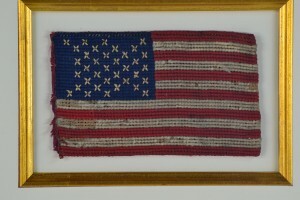 36 Star flag with an exquisite hand sewn small 36 Star Flag, Civil War Era. 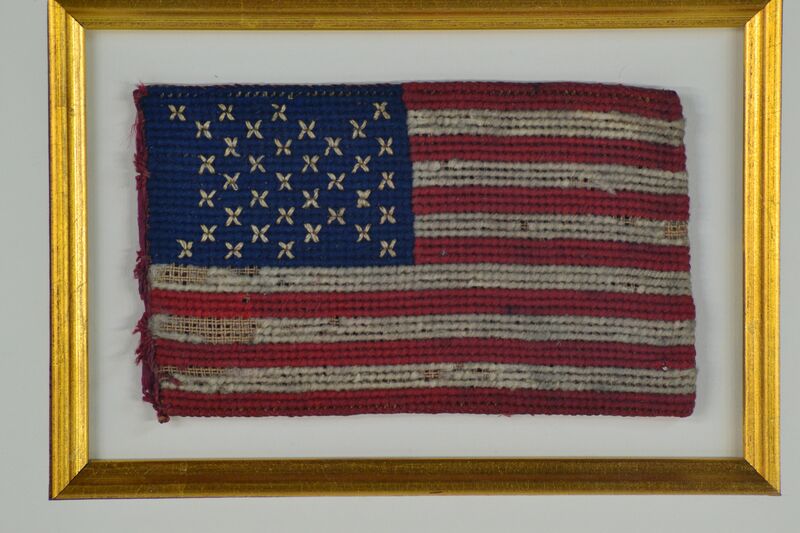 Civil War Needlepoint stitching with cross stitched stars, strong colors, intricate detail. 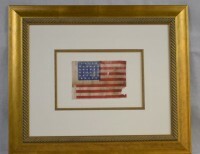 Based on size this flag could certainly be considered a Bible Flag which are highly prized and desired by collectors. One this nice would be an asset to any Americana collection. 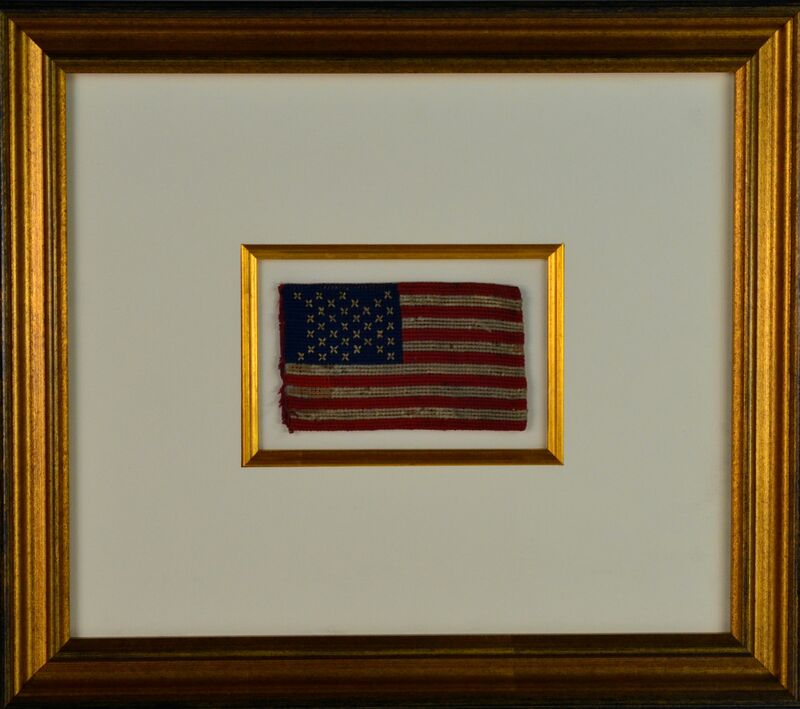 This Flag became the Official United States Flag on July 4th, 1865. 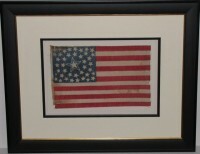 A star was added for the admission of Nevada (October 31st, 1864) and was to last for 2 years. 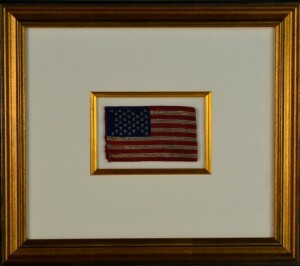 The only President to serve under this flag was Andrew Johnson (1865-1869).This flag of 36 stars is typical of those manufactured during the time of the American Civil War and the period of reconstruction that followed. The history behind this piece makes one wonder. Bring home the museum and showcase this needlepoint stitching. 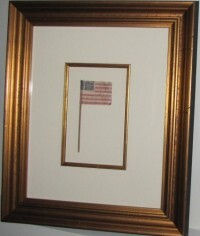 This piece of history is perfect for any office or den and is a great conversation starter.